Today, I'm excited to share an awesome recipe from my dear bloggy friend, Kelly. She combines the crockpot method with Mexican...in my mind a perfect combination!! So, without further ado, please welcome Kelley from the Grant life. Hey yall! My name is Kelley and I blog over at the Grant life. I've been blogging for a few years now and I really love that I have made such good friends, like Rachel! Thanks for letting me share an easy recipe with your readers today! Im all about quick and delicious meals, so these easy crockpot tacos are my go to meal. I call them my 'set them and forget them' tacos because I toss all my ingredients in and let them simmer all day. Put your frozen chicken on bottom. 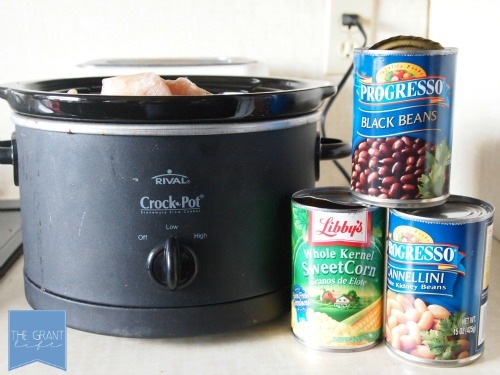 Next, dump all three cans directly into the crockpot. Add your taco seasoning and cover. You can set on high for 4-6 hours or low for 8 hours. After your chicken is cooked, take a fork and break up your chicken breasts. The meat will be so tender it will just shred right apart. Drain all the water in the crockpot and serve. 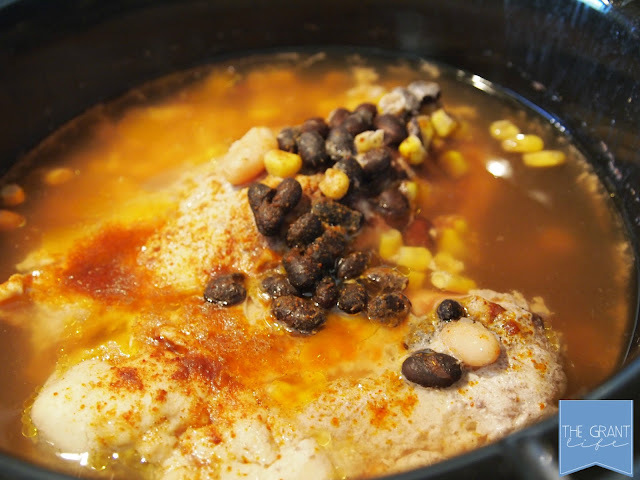 With the beans and corn already in the crockpot all we add is cheese and salsa. They are so delicious and great the next day! 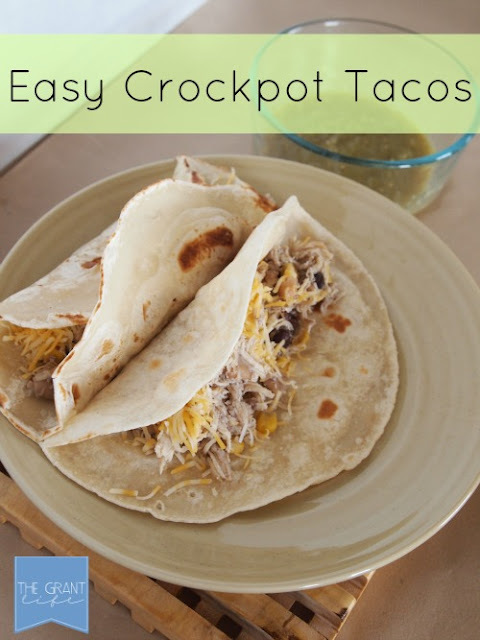 I hope yall enjoyed my easy crockpot chicken taco recipe! If you get a chance stop by the Grant life to see what we are up to! Oh! 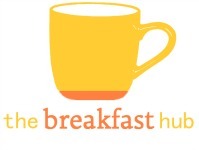 And if you love breakfast - be sure to check out my all breakfast recipe blog, the Breakfast hub! Sometimes I link up at the following places: 504 Main, A Diamond in the Stuff, AKA Design, Alderberry Hill, At the Picket Fence, Beyond the Picket Fence, Blessed with Grace, Cherished Bliss, Classy Clutter, C.R.A.F.T., Craft-o-maniac, Crafty Scrappy Happy, Eat at Home, Finding Fabulous, Gingersnap Crafts, Glued to My Crafts, Home Stories A to Z, House of Hepworths, I Heart Naptime, It's So Very Cheri, Lil Luna, Lines Across, Live Laugh Rowe, Made in a Day, Madigan Made, My Favorite Finds, Not Just a Housewife, One Creative Mommy, Organizing Junkie, Positively Splendid, Semi Homemade Mom, Serenity Now, Simply Sugar and Gluten Free, Six Sisters Stuff, So I Married a Craft Blogger, So You Think You're Crafty, Someday Crafts, Sugarbee Crafts, Tatertots & Jello, The 36th Avenue, The Finer Things in Life, The Frugal Girls, The Grant Life, The Shabby Nest, Tidy Mom, Today's Creative Blog, Uncommon Designs, and Under the Table and Dreaming. This looks delicious! 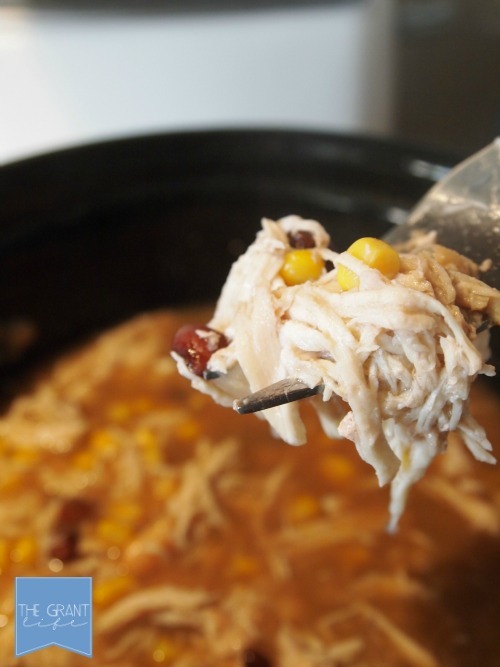 Always on the hunt for crockpot recipes.